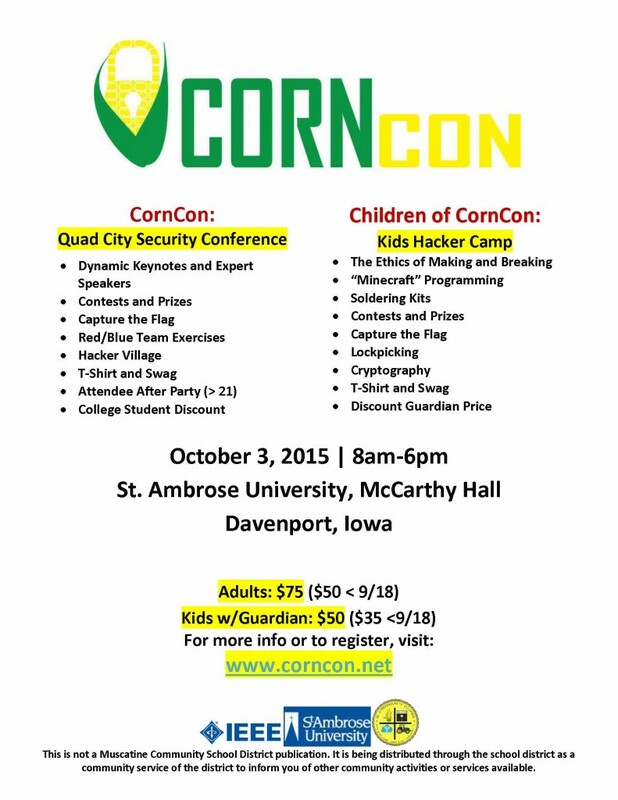 Children of CornCon is a 1-day Kids Hacker Camp, taking place October 3 at St. Ambrose University in conjunction with CornCon a Quad Cities Security Conference. This camp will involve lots of fun activities and challenges: “Minecraft” Programming, Cryptography, Capture The Flag, Soldering Kits, Lockpicking and the Ethics of Making and Breaking. 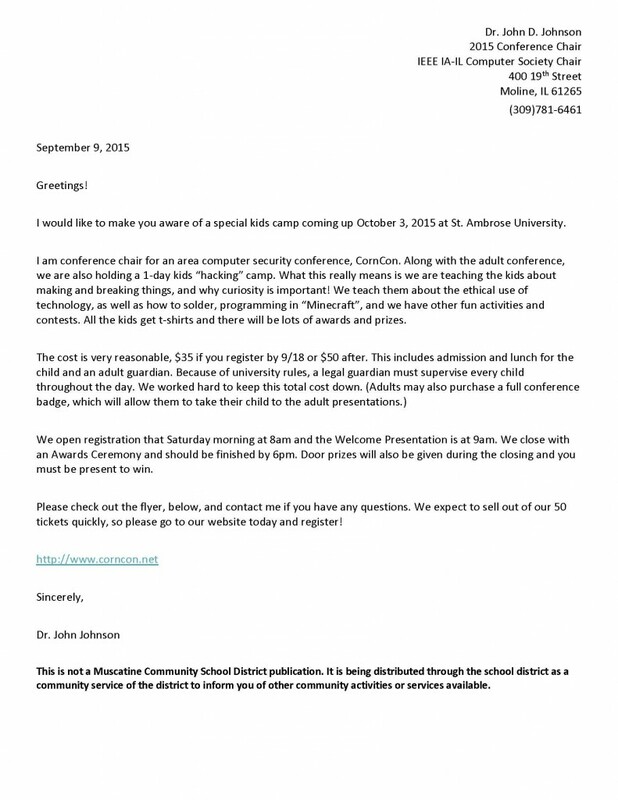 There will be awards and prizes. T-shirt and lunch included.